Dental Bridges are when a number of crowns are used to replace missing teeth. A bridge is made up of two or more crowns for the teeth on either side of the missing tooth or teeth and a false tooth or teeth in between. 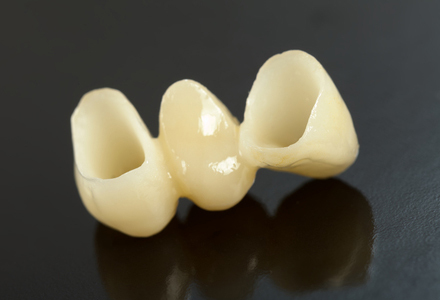 Dental bridges can be made of a number of different materials and your dentist will be able to advise you as to the best material dependent on the type of crown required and its placement within your mouth.